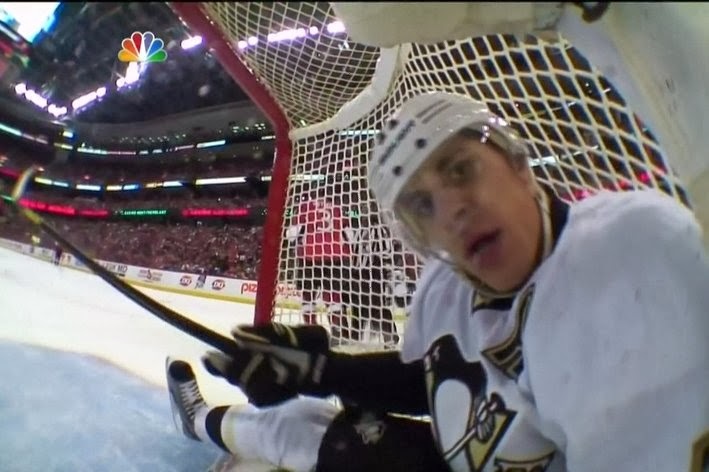 Normally a talent like Evgeni Malkin would garner a ton of publicity for his first NHL season. Malkin was actually drafted by the Penguins in 2004, but his career did not begin until the 2006-07 season due to a transfer dispute between the National Hockey League (NHL) and the International Ice Hockey Federation (IIHF). Maybe it was a bit of foreshadowing of things to come. By the time he made his debut in 2006, Sidney Crosby had a year under his belt for the Penguins. It took a bit of the shine off of Malkin’s entrance into the league because he was second behind “The Next One”. What makes a player like Sidney Crosby so special is that he is able to not only back up the expectations on the ice, but live up to other worldly expectations off of the ice. His accolades on the ice are well-documented, but how he conducts himself off of the ice as the face of the Penguins and the NHL is really where Crosby earns his paycheck. If you combine that with the fact that up until the past couple of years Malkin has not felt comfortable doing interviews on his own due to his limited knowledge of English, it sets the stage for a world-class talent like Malkin, who would be THE star on any other team and who is thought of in the same breath as Crosby and Ovechkin, to be completely overlooked at times. 2008-09 was a magical season for the Penguins organization. For Malkin it began with scoring his 200th NHL point on an assist to Sidney Crosby. A players’ 200th point is a special occasion normally commemorated with the puck used in the goal. Unfortunately for Malkin, the goal was Crosby’s 100th goal and 300th point, a special occasion for him as well. As a result, Crosby asked a team trainer to cut the puck in half so each player could commemorate the experience. The Penguins obviously went on to win the cup that year. 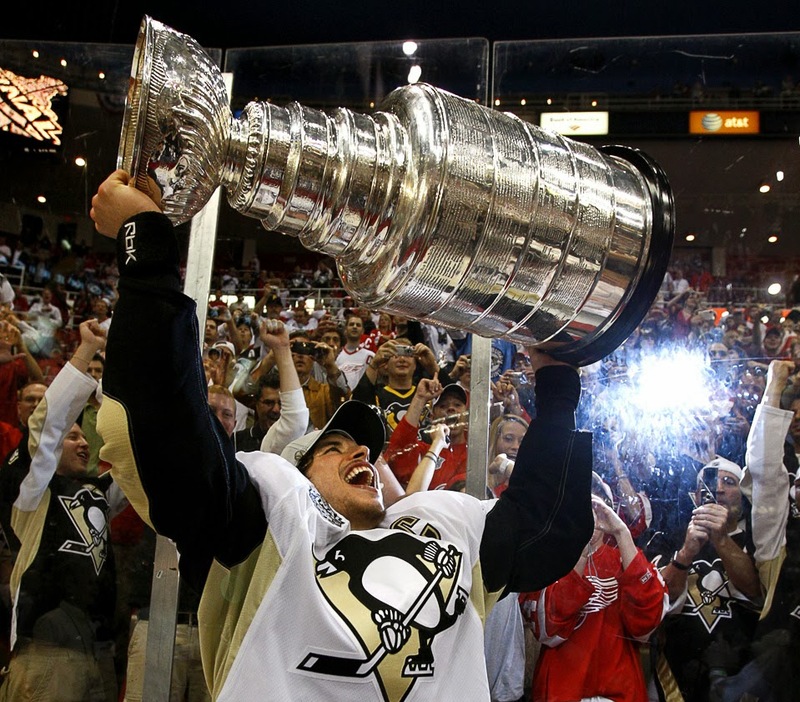 If you were to ask a Pens fan what photo they have in their head when they think of that championship season, many would tell you it was Crosby hoisting the cup into the air and yelling “WOO-WEE” with a huge smile on his face. Those same fans would most likely forget that Malkin won the Conn Smythe Trophy for playoff MVP by leading the league in playoff scoring with 14 goals and 22 assists. Those were the highest totals by anyone since Wayne Gretzky scored 40 points in the 1993 playoffs. 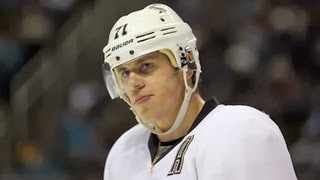 Malkin also led the league in scoring in the regular season, winning the Art Ross Trophy. He was the first player for the Penguins to win the Art Ross and Conn Smythe in the same year since his boss and owner, Mario Lemieux, did it during the 1992 season. After a torn ACL and MCL sidelined Malkin for much of the 2010-11 season, he bounced back in the 2011-12 season to lead the league in scoring. He also went on to win the Hart Trophy for league MVP. He helped to carry a Penguins team that was missing Sidney Crosby for much of the year with concussion-related issues. This was a person the Penguins could depend on to deliver in crunch time. It is hard to imagine that a player with this resume would be the subject of negative press in the current NHL season. The thing that has always somewhat bothered me with Evgeni Malkin is that it seems like you can tell when he is going to have a bad game. Whether it is fair or not, oftentimes when he is going through a slump, he looks visibly down and almost disinterested in the game. He then tries to overcompensate and produce on his own, which results in turnovers in the neutral zone. If people want to use the excuse that this is due to not having quality wingers, that would be doing a disservice to players like Jussi Jokinen, who is now tied for the team lead with eight goals this season. Additionally, making the players around you better is something that is expected of you when you are one of the best players in the world (see Sidney Crosby setting up Jayson Megna for his first goal). At least the good news for Pens fans is that Malkin has not seemed disinterested this season, but that does not help on the stat sheet. When a player signs a contract of that nature, they are brought in to do one thing…produce. So far this season, Malkin has fallen short. Through 17 games he has twelve assists, but only three goals. That is not acceptable for a player making the most money on an NHL team. There are many Malkin apologists who rush to his aid when anything negative is said – “If he had Dupuis and Kunitz, he’d be producing also!” or “He is playing really well. It’s only a matter of time until he breaks out.” To all of those fans, I simply say…ENOUGH. There is no one above criticism, especially the highest paid player on a NHL team. But why has Malkin been able to skate by at times in his career? The answer is that he has the luxury of the best player in the world to take the spotlight away from him. As bad as it must be for Malkin to be overlooked at times when he has absolutely carried the team, it must be equally as nice to escape the majority of the criticism that comes with failing to meet expectations. It is a scenario that undoubtedly would be much harsher in an organization without Sidney Crosby. Look at Alex Ovechkin last year during the time when he was in the worst slump of his career. Many fans of the Capitals wanted their owner, Ted Leonsis, to trade their captain. This is a life that Evgeni Malkin chose by staying with the Pittsburgh Penguins, and through the good times and the bad times, it is one that will be spent living in the enormous shadow of one Sidney Crosby.